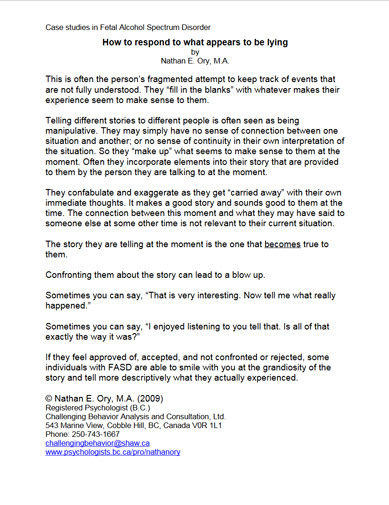 Telling different stories to different people is often seen as being manipulative. They may simply have no sense of connection between one situation and another; or no sense of continuity in their own interpretation of the situation. So they “make up” what seems to make sense to them at the moment. Often they incorporate elements into their story that are provided to them by the person they are talking to at the moment.